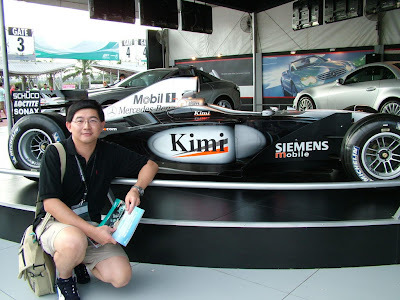 I went to Malaysia for the 2005 F1 Malaysia GP in March. It was a great experience. KL declared itself as the city of motor sports. We did feel it that way anywhere in the city; everything were related to F1. To hold an F1 event is not easy, but I have to say KL did a good job; friendly people, well-organized transportation, and all the support from community. By the way, the only thing I did not like is the weather; I got sunburn there!